The AIANH Excellence in Architecture Awards Program was instituted in 1983 for the purpose of providing public and professional recognition for architectural projects of design excellence by New Hampshire architects. Each entry is judged on the following criteria: overall design excellence including aesthetics, clarity, creativity, appropriate functionality, sustainability, building performance, and appropriateness with regard to fulfilling the client's program. Scroll below to see the results of the 2016 program. Media Sponsor: NH Home Magazine. The jurors for the 2016 program were: John Franzen FAIA, J.P. Franzen Associates Architects, Southport, CT; Kevin Herrick AIA, the S/L/A/M Collaborative, Glastonbury, CT; and Laura Pirie AIA, Pirie Associates, New Haven, CT. Number Four Farm Hill was the former site of a poultry farm in the 1820s, surrounded by rolling fields. Since the days of the working farm, the pastures slowly disappeared to become woodlands, like so much of the New England landscape. 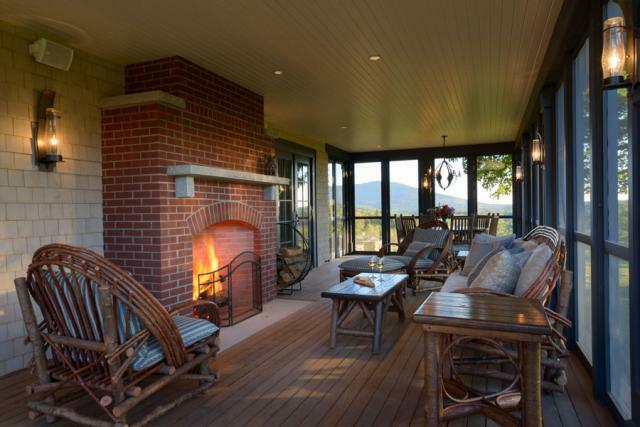 The architect worked with the clients to develop a forestry management plan to enhance wildlife habitat, provide all the interior hardwood flooring for the new house, and open up views by creating additional meadows that had been lost over the years. The house is a destination place for a large extended family that balances the communal nature of a family compound with the needs of the individual. The planning prerogative was to develop a design from the outside inward to create spaces that would successfully integrate architecture with the landscape. 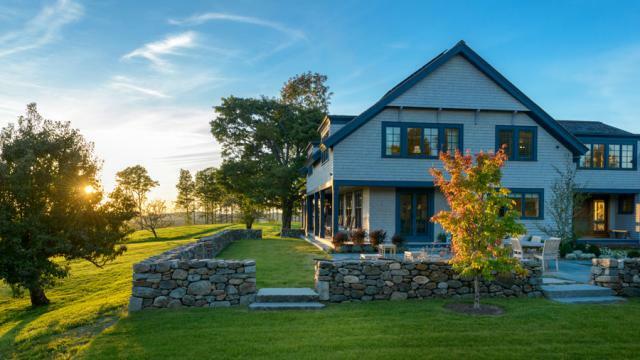 Like a well-executed landscape painting, the design included a set of outdoor gardens, which made transitions from the distance views of Mount Monadnock to the south, the Green Mountains of Vermont to the west, and the foreground of existing and new meadows surrounding the house. The project represents a high level of design while maintaining strict goals of energy efficiency. 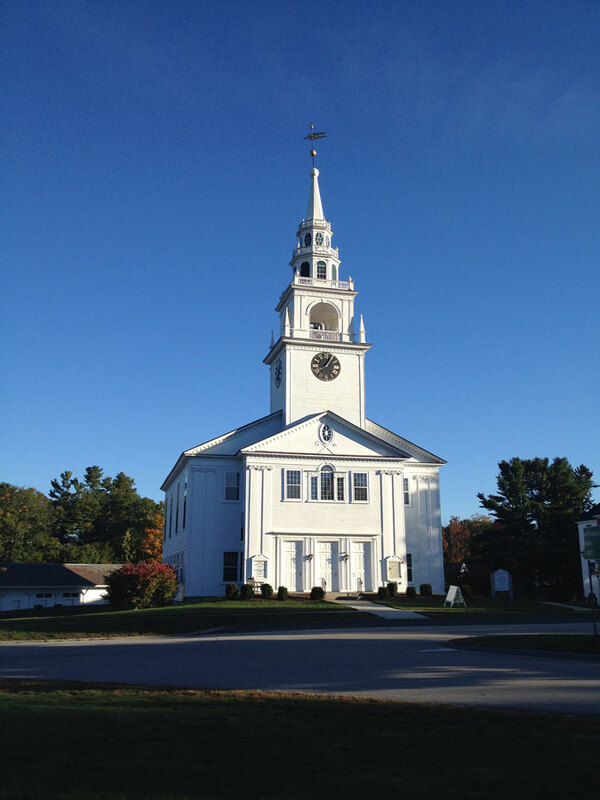 The Rick and Duffy Monahon Award for Design Excellence in Architectural Restoration and Preservation was established last year in honor of Rick and Duffy Monahon as a way to honor their extraordinary contribution to architecture and preservation in New Hampshire. The award recognizes outstanding and exemplary historic preservation projects as defined by their sensitivity to an historic structure and its surrounding environment; the quality of architecture, workmanship, and materials; as well as the degree of challenge or accomplishment and the level of community support for the project. 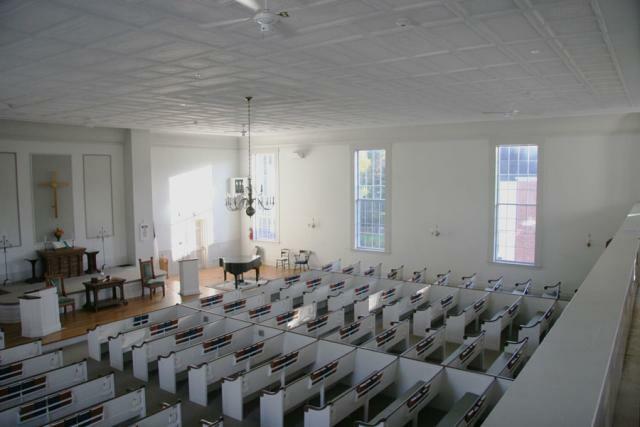 The Hancock meeting House is one of only two Meeting Houses in New Hampshire still jointly owned and maintained by the church and town. Scully Architects worked with a joint building committee and the previously prepared Historic Building Assessment to refine a program that included: structural stabilization of the first floor and bell tower, replacing the 100-year-old slate roof, window restoration, replacing storm windows, and painting the exterior of the building to the Secretary of the Interiors’ Standard for Rehabilitation. The architects developed an efficient plan to include a vertical lift, accessible toilet rooms, and a utility closet with minimal disturbance to the existing building. 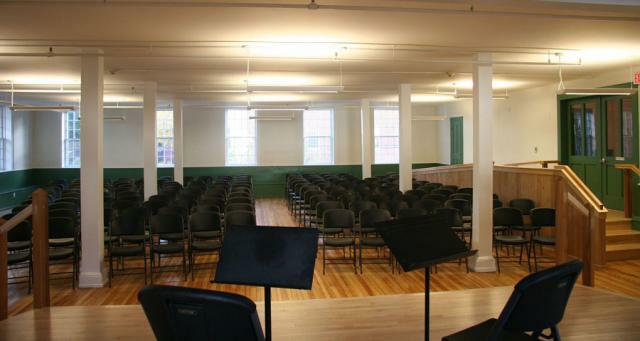 The lower level meeting room was refurbished and new energy efficient heating systems and lighting where installed. 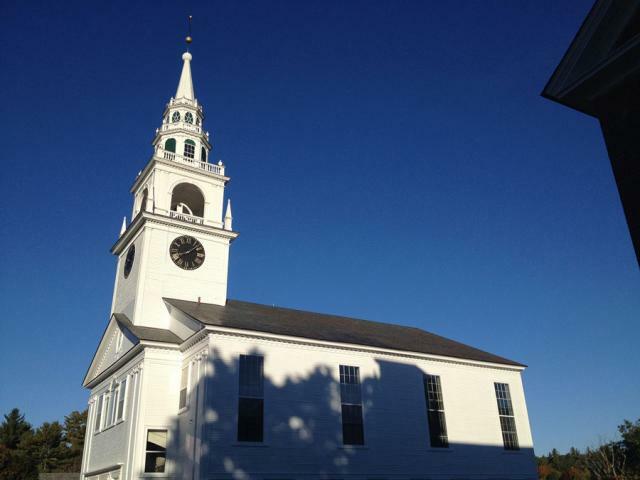 A detailed presentation helped develop community support for the project, in turn helping with fund raising and an 82% approval vote at the Town Meeting. Jury Comments: “Early on the architect recognized the potential political obstacles and the PowerPoint presentation was mounted to thoroughly explain the project and to clearly demonstrate the multitude of un-glamorous but necessary technical design issues and cost needs. The photographs document an excellent result." 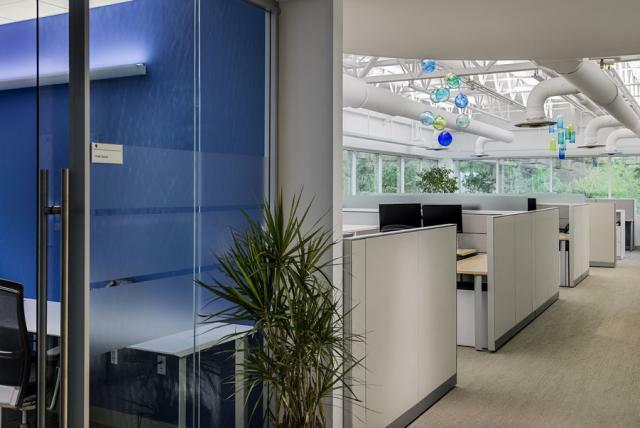 This extensive renovation for Bottomline Technologies’ Portsmouth, NH Corporate Headquarters was undertaken to accommodate their growing Marketing and Creative Design Team departments. 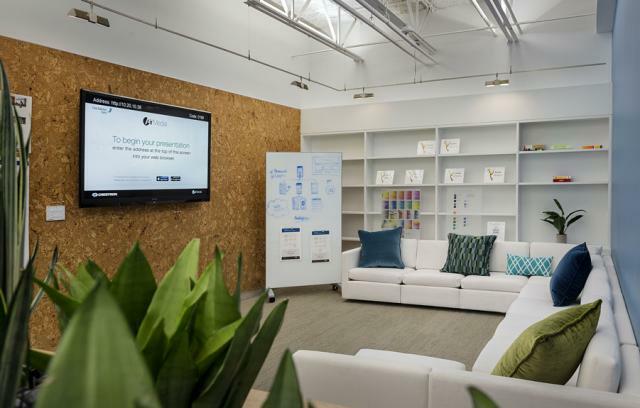 The design goal for the 9,247 square foot renovation was to create open, modern and casual space that would work to foster a collaborative environment. 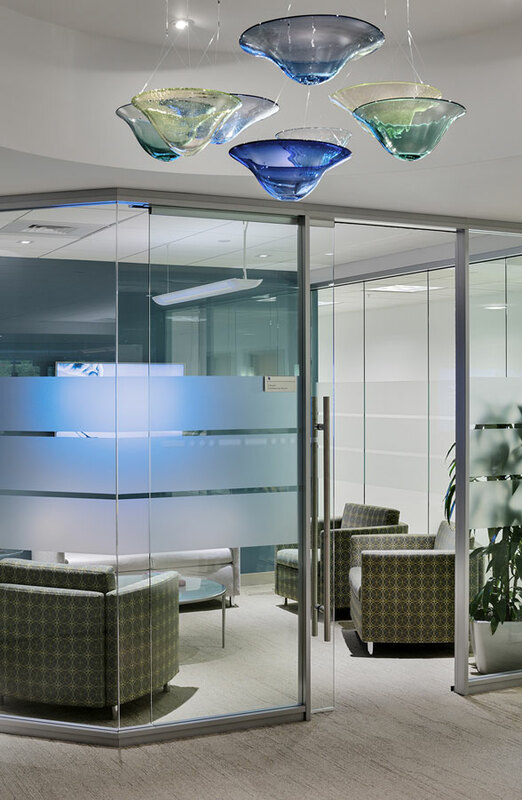 The color palette used in Bottomline’s web-based marketing materials was used extensively in the interior of the space, and an abundance of glass was employed to bring natural light into the deepest parts of the office and create visual connections between departments. 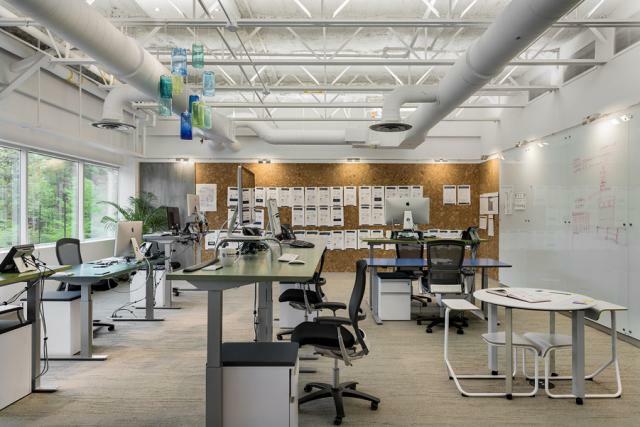 A majority of the office space is lit from the steel bar joists above the workstations using adjustable linear LED strips. This hides the light source from view while evoking the sense that the ceiling is bathed with natural light from an unknown source. 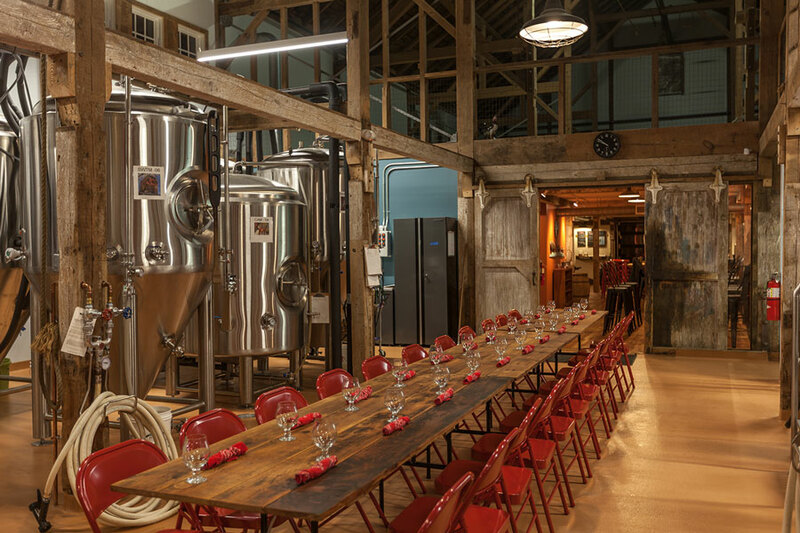 Throwback Brewery at Hobbs Farm is the realization of the vision of the nano-brewery's founders, who purchased 12 acres of an historic farm at auction in 2012. The NH Preservation Alliance had identified the property, owned by the same family since the 1700s, as an historic site in jeopardy. The sale included no protection for the c. 1860's buildings, which might have been raised or altered by another buyer. 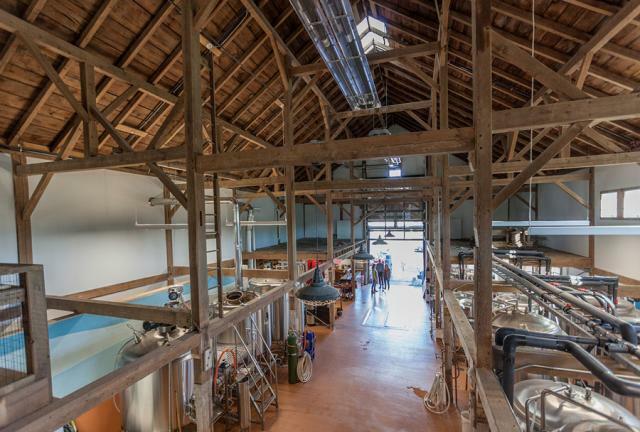 Inspired by the traditional "Yankee" sense of thrift and ingenuity, the architects, construction manager, and the brewers worked within a budget of just $100/SF while they refined the design, even through construction, to uphold the initial vision and bring the original barn back to life. The original post and beam structure was preserved and exposed throughout, supported by a new steel column and floor framing below to accommodate the new loads. 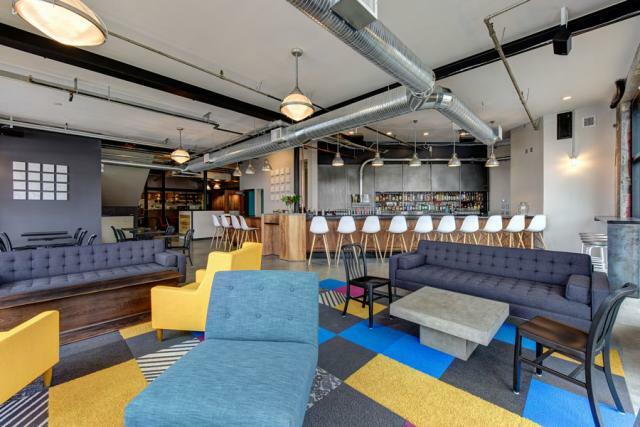 Almost all materials, including the structural members, wood flooring, bar cladding, trim and tables were made of salvaged materials from the site. 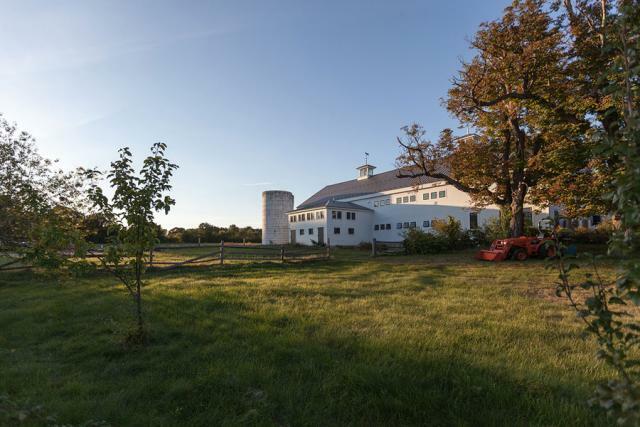 The design opens the barn to the historic farm, preserving the traditional landscape and supporting continued agricultural use. While maintaining its historical elements, the project also uses a modern solar array to provide 50% of the energy demand. The Penhallow Studio is a renovation of a portion of a building in Portsmouth’s Historic District. 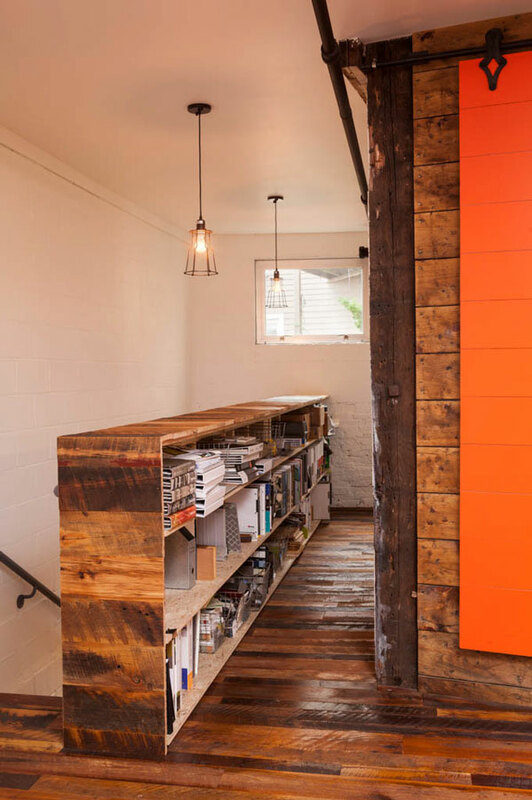 The architects’ design transforms a space that served as a warehouse for a local paint company into their new studio. The dilapidated interior finishes were removed, exposing the structure to give an account of the building’s history. Exposed brick masonry of the original 19th century building, board sheathing of the early 20th century addition, and concrete block masonry of the mid-20th century addition create an eclectic palette of textures. 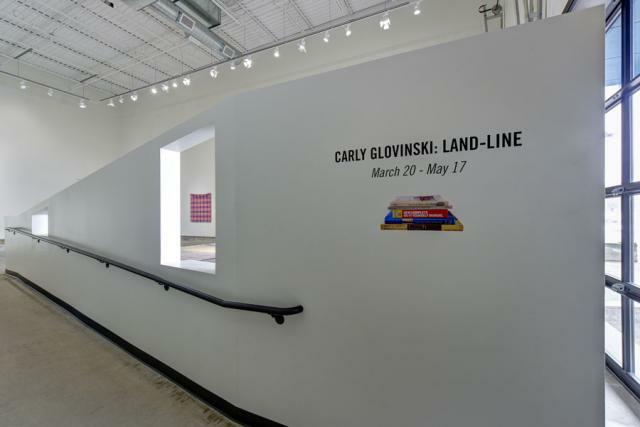 The architects designed custom furnishings to optimize the irregular geometry of the workspace and collaborated with a local shop to fabricate and install it. 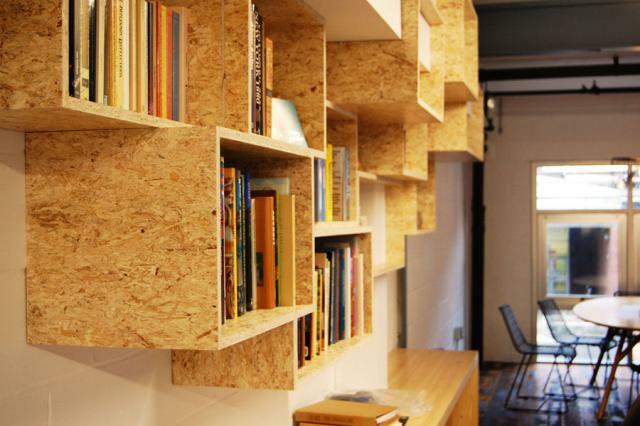 Common construction materials were used to make the furnishings – pine framing lumber for the tables and oriented strand board for the shelves and cabinetry. Fashioning ordinary materials into extraordinary things is emblematic of the firm’s attitude toward all of their work. 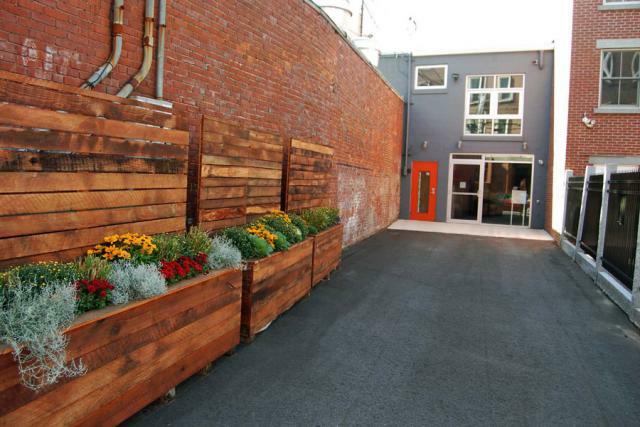 3S Artspace is a nonprofit alternative arts organization that combines the only midsize, flexible performance space of its kind in the area, a large, non-commercial gallery with future artist studios above, and an affordable and approachable restaurant. 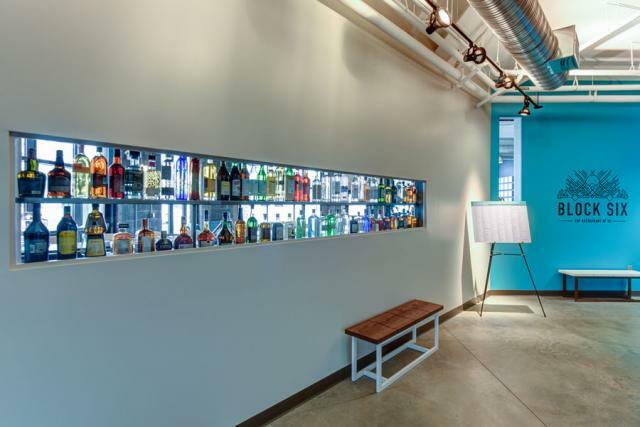 Serving as a local hub, 3S is ideal as a gathering place for patrons and locals alike. 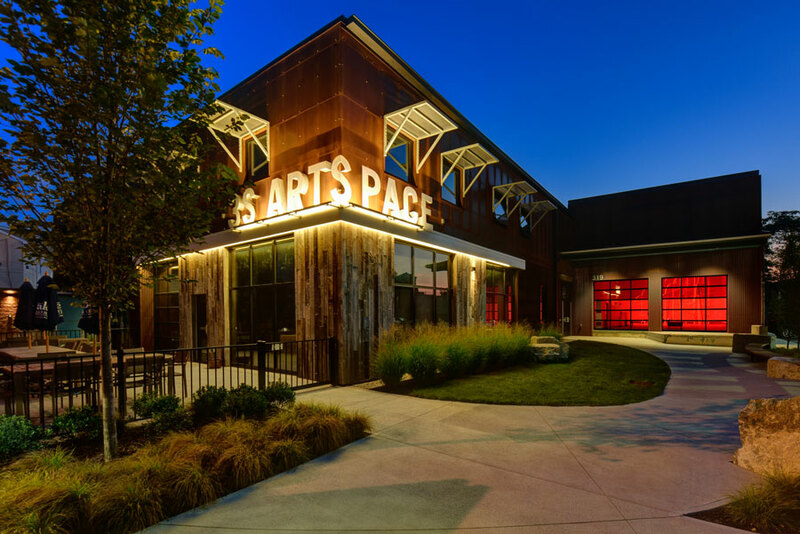 McHenry Architecture worked collaboratively with 3S Artspace, Wright-Ryan Construction, Ambit Engineering, Summit Engineering, Terra Firma Landscape Architecture, and Winter Holben Design through an integrated design project delivery. 3S has been years in the making, years of careful planning, collaboration and programming within the community. 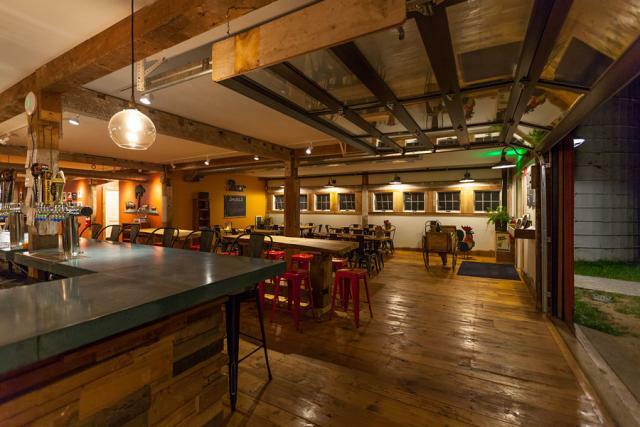 This adaptive reuse project in downtown Portsmouth, NH, is a place for curious minds of all ages and backgrounds to gather, explore, cultivate new perspectives and ideas and fall in love with the experiences of eating, seeing, hearing and making, all under one roof. 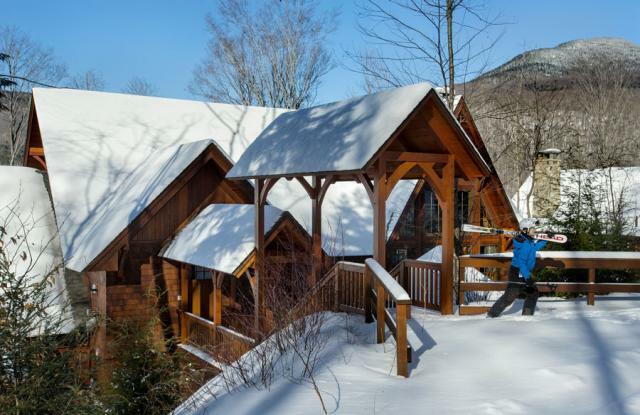 This alpine home shares a property line with Loon Mountain Ski Resort and allows for ski-in, ski-out access to the mountain’s 61 trails. The unique location and challenging terrain informed the home’s siting, footprint, program, design, interior design, finishes, and custom-made furniture. 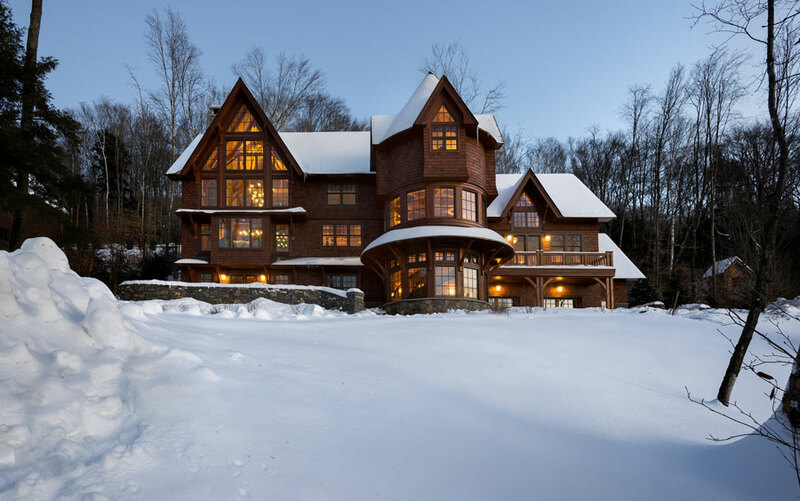 In formulating a design for the home, architect Tom Samyn AIA, the client, and interior designer Randy Trainor relied on their various personal ski experiences to aid in designing spaces that support and enhance the client’s ski experiences. In answer to the site’s steep grade, Samyn designed a wide circular stair enclosed in a turret providing access from the garage to a main level and an upper level, round turret office. This design solution became a focal point for the home. 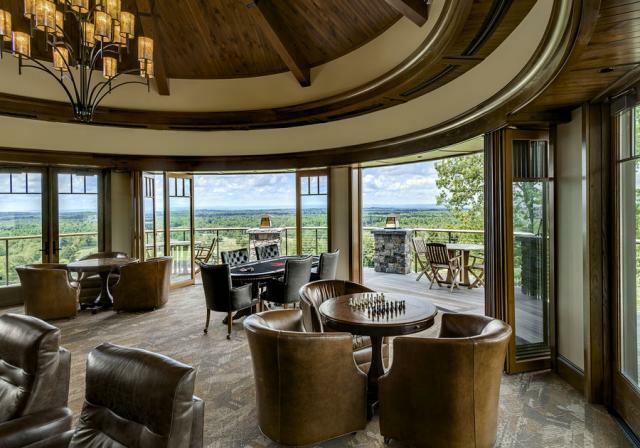 Moreover, the design team embraced the fact that visitors were treated to a “climb” through the home that mimicked the site terrain and provided panoramic views. 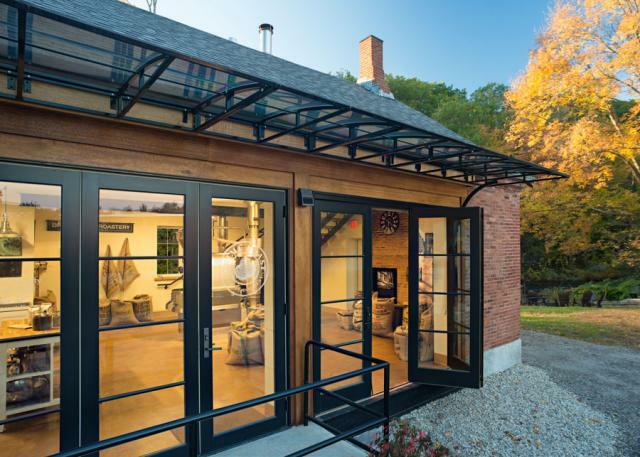 With strong ties to the industrial history of the region, this project saved the long-abandoned former mill manager’s residence of the defunct East Keene Mill. The abandoned building had fallen into an extreme state of disrepair. 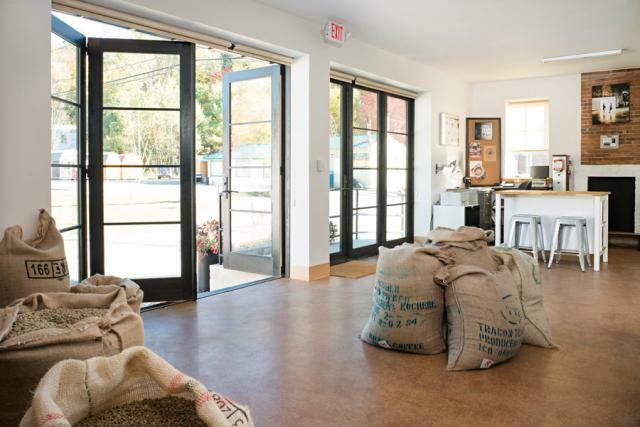 No longer zoned for residential use, our client saw the property as the perfect location to expand their micro roasting business. 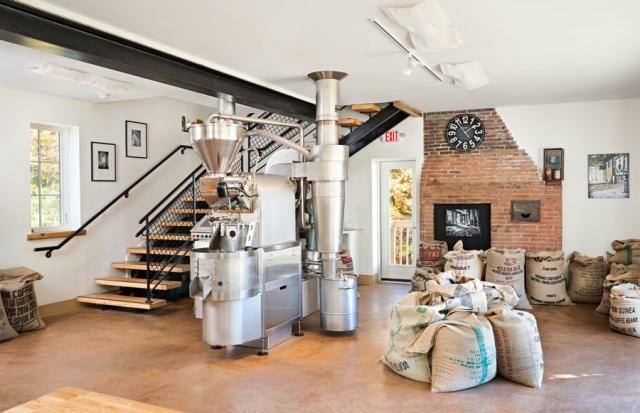 The architect’s challenge was to maintain the existing masonry exterior while integrating the need for open space capable of housing a coffee roaster as well as providing easy access for receiving bulk shipments of coffee beans. The resulting renovation achieved the client’s goal while maintaining a key piece of the historic fabric of the region. The updated building now features an insulated structural slab-on-grade and insulated and air sealed envelope. 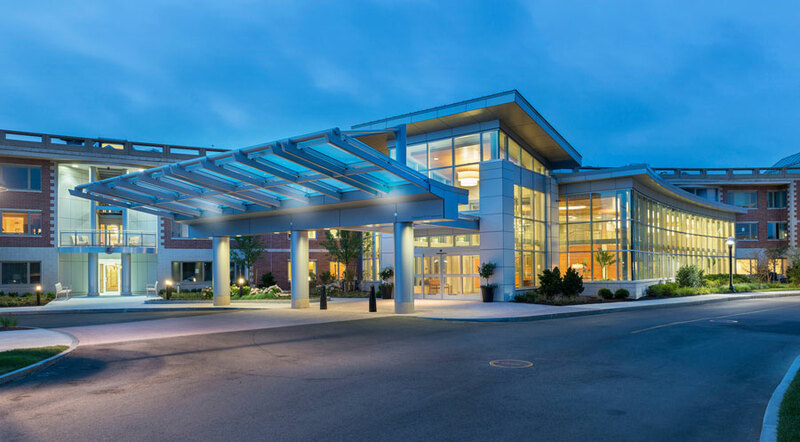 Constructed in 1983, North Hill was the first Life Care Community in New England, a model for those that followed and one of the most successful in the nation. Thirty years later it was losing market share to newer competitors. 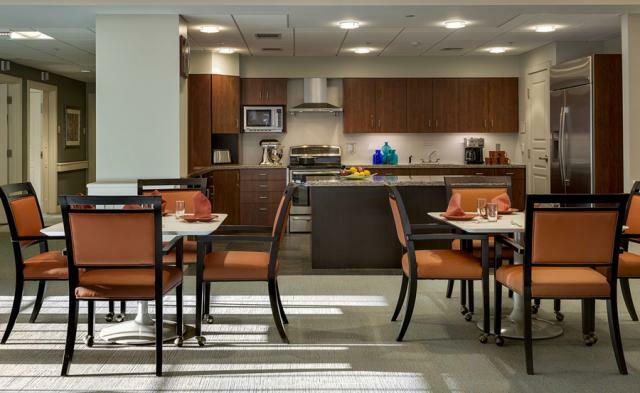 Beginning in 2006 North Hill began a repositioning effort with a 2010 Design Competition (firms representing the best in Senior Living from Boston to New York.) 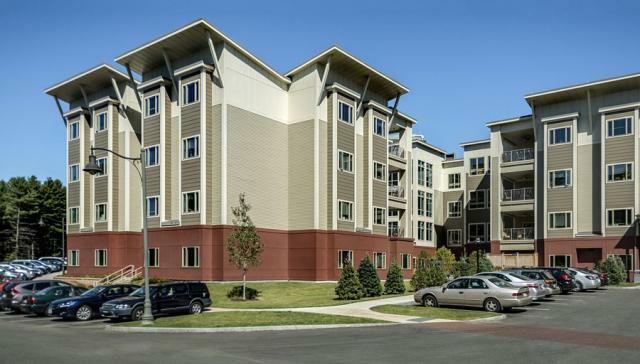 Winning the competition, JSA began the design of a three-phase, $100M project returning North Hill to its former status as the premier Retirement Community in New England. This submission encompasses Phases 1 and 2; $22M renovations and zdditions to their existing Independent Living Common areas, completed in 2013; and $30M on-going renovations to 280 existing apartments. Phase 2 includes a $38M Skilled Nursing and Enhanced Independent Living/Memory Care (Assisted Living) completed in September 2014. 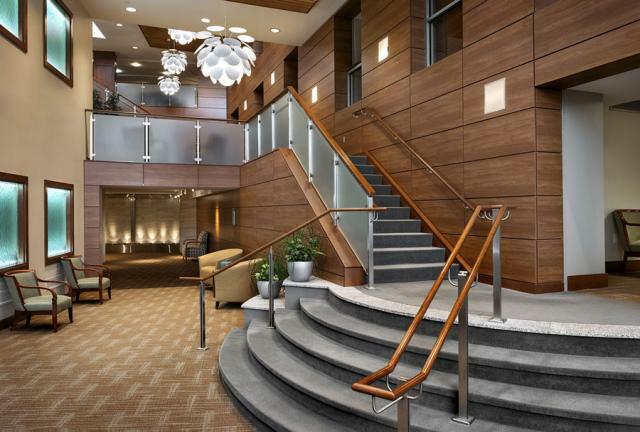 Upon Phase 1-2 completion, occupancy increased from 78% to 92%. 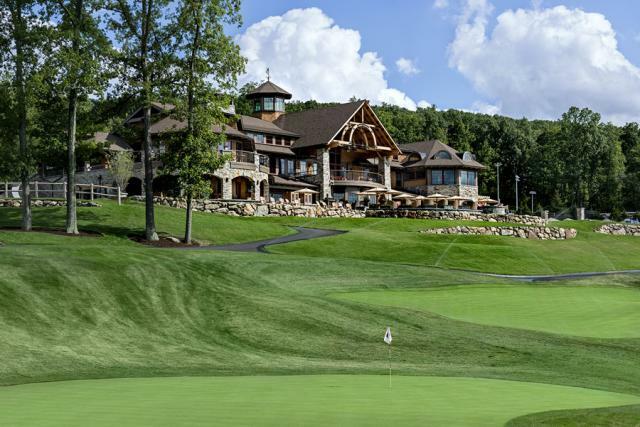 In recent years, many country clubs have transitioned from exclusive and stuffy to a modern, family-oriented feel. This is exactly what the new owners had in mind when they purchased the Hampden Country Club in 2012. 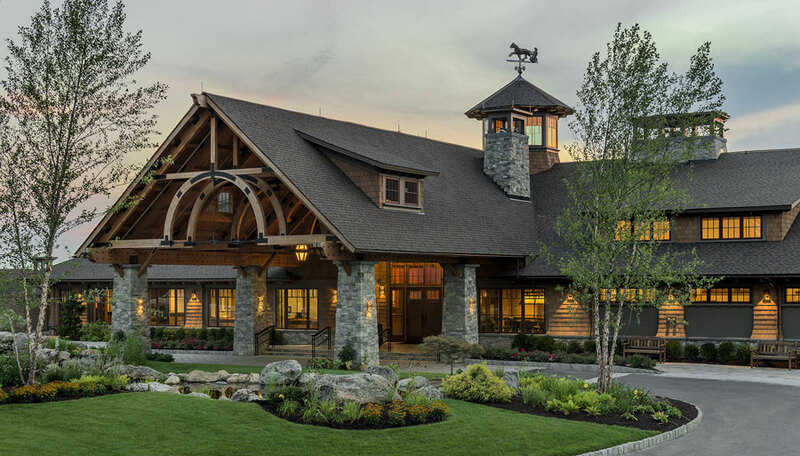 The clubhouse, which is set on a sweeping golf course, combines Western Arts and Crafts with New England Farmhouse style to invoke a familiar and slightly worn-in feel. 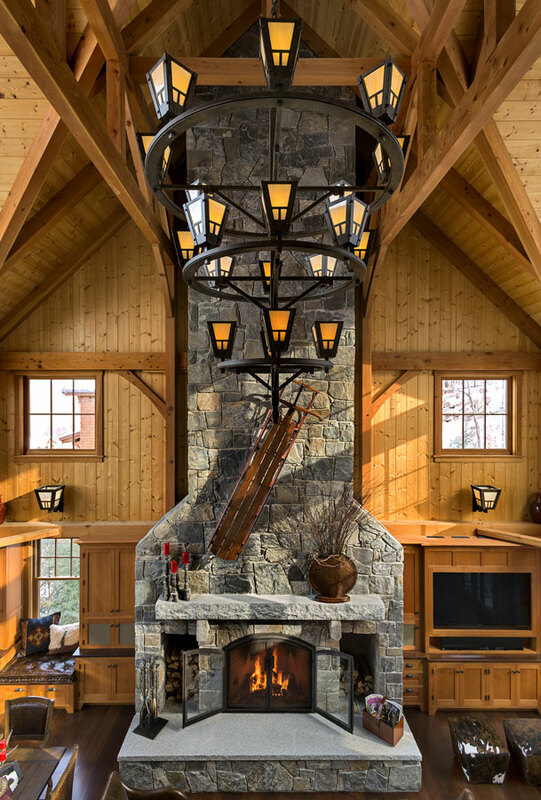 The juxtaposition of rustic woodwork and modern amenities creates a comfortable and relaxed space. Inside, the clubhouse features tabletop inlays, furniture, and artwork inspired by the owners’ passion for horse racing. 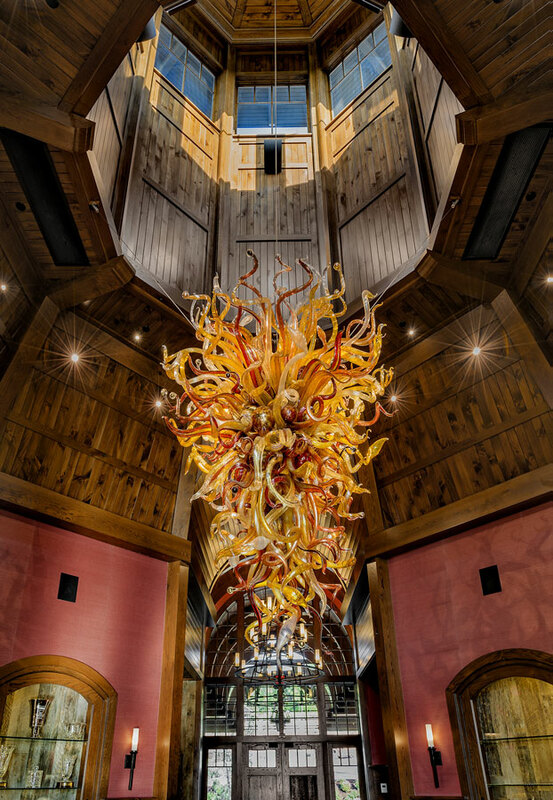 The signature work of art in the space is a chandelier by renowned glass artist Dale Chihuly, which hangs in the upper rotunda and can be viewed by guests from all angles. An 8,000+/- square foot banquet hall is nearing completion, which will serve as function space for weddings and other large-scale private events. Every room in the house was designed to have a view of the water. 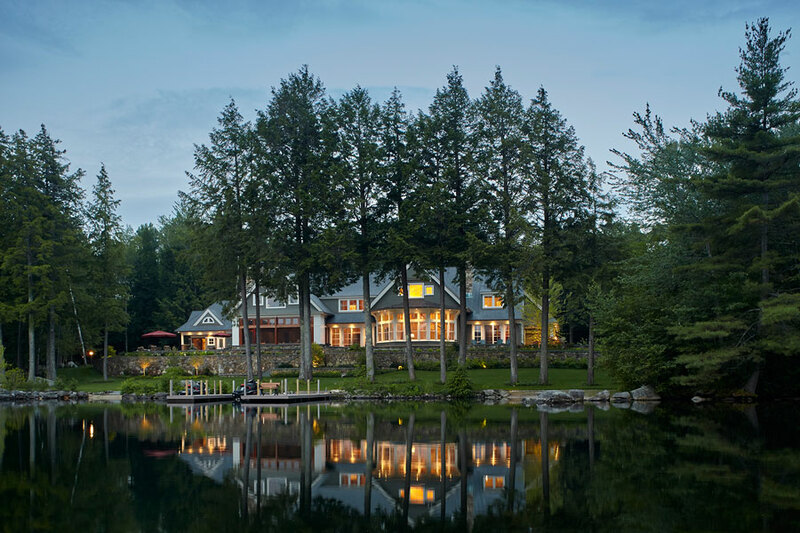 Situated on the “big lake,” the site was developed by carefully chosen masters of trade to become the epitome of summer serenity. A custom folding window system tucks into wall pockets blur the barrier between inside and out. The hot tub and lap pool serve as agreeable middle ground between nature and residence –no outdoor evidence is brought in, thanks to an elegant outdoor shower. The façade design is a study in dichotomy: a seamless blend of symmetrical formality and an organically comfortable environment. The backyard is a pleasantly uneven surface with slices of stone walls and landscape details anchoring the home to the hillside that gently gives way to the water. 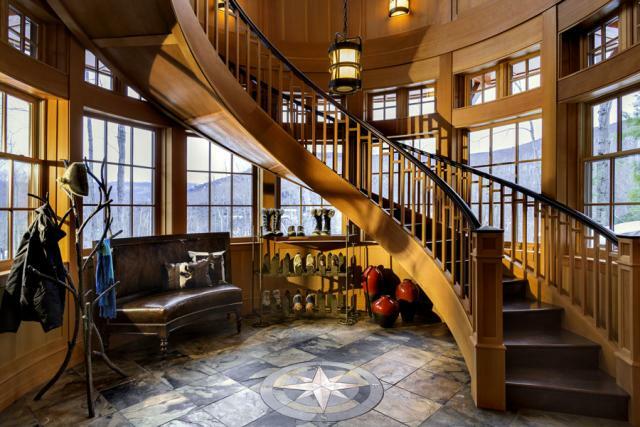 Custom millwork throughout the home is particularly noticeable in the main stairway. 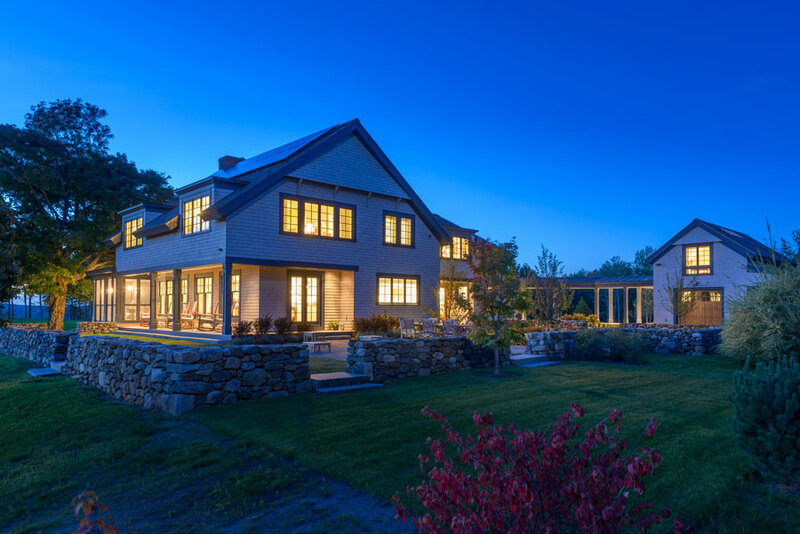 A state-of-the-art geothermal system keeps this magnificent home appropriately cool and warm. 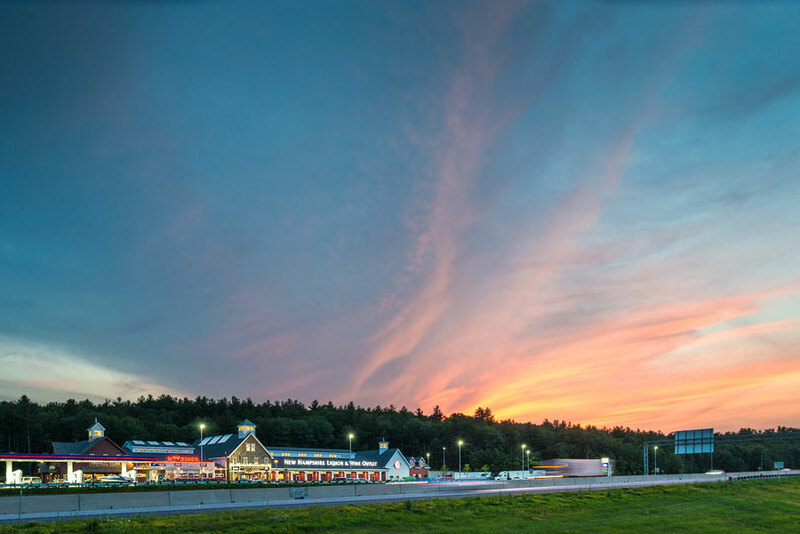 The owners, architect, engineers, contractor, and bank lender for the North- and Southbound I-93 Hooksett, NH Welcome Centers are all NH residents and each contributed to and supported the NH theme expressed in virtually every aspect of these new facilities. 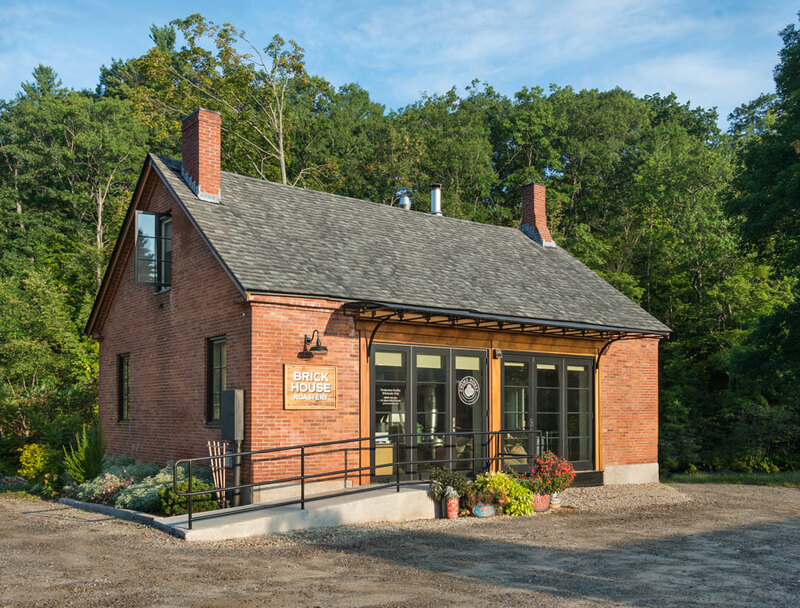 Ward D’Elia AIA of Samyn-D’Elia Architects proposed a mill building architectural style as NH’s mills represent innovation and industry, underpinnings of the state’s heritage. The southbound visitor center features an authentic mill waterwheel, the northbound, a large replica of a covered bridge. The food courts evoke a village street with blue-sky ceiling, and daylighting. 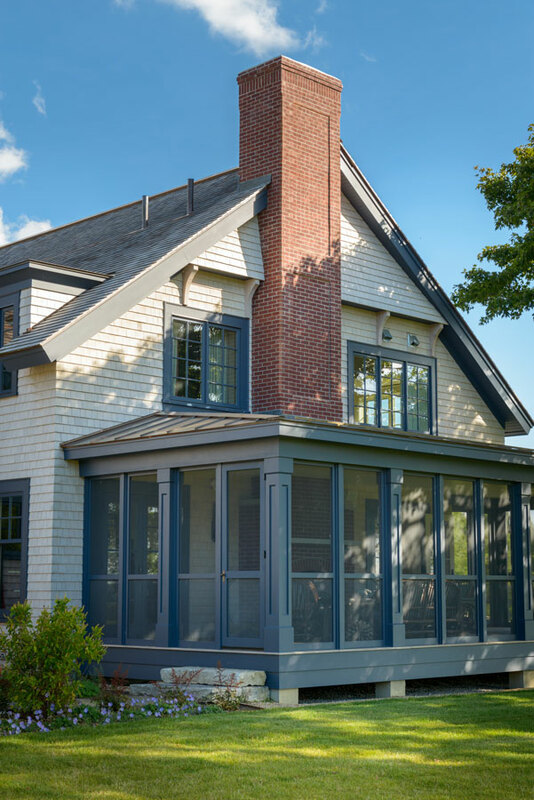 The design incorporates recognizable NH architectural features including a NH granite façade, clapboard and shingle siding, muntin windows, dormers, pitched roofs, and cupolas. Each facility exceeds the Green Building Standard and also features a 20,000 SF NH State Liquor and Wine Outlet, General Store, 1950s diner, restrooms, retail space, fueling and electric car charging stations, and parking.